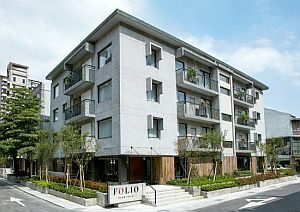 Optional Single Supplement: $633 USD (number of singles limited). Arrival in Taipei -- welcome to Taiwan! Lying off the south-eastern coast of mainland Asia, and across the Taiwan Strait from China, Taiwan is an island truly on the edge of the Pacific. One of the most densely-populated places on earth, this is also a natural wonderland with steep mountains, magnificent forests and an array of scenic attractions. Being situated on the western edge of the Pacific "ring of fire", continuous tectonic movements have created majestic peaks, rolling hills and plains, spectacular coastlines, and other natural wonders. 8 national parks and 13 national scenic areas preserve Taiwan's best natural ecological environment and cultural sites. We will spend today exploring vibrant Taipei, modern and old, where Taoist temples sit alongside shopping malls. Many have rated Taipei as one of the region's most dynamic, comfortable and liveable cities. Situated at the northern tip of the island, the capital is located on the Tamsui River, about 25 km southwest of the Pacific Ocean. 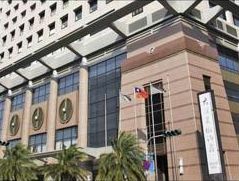 This is the political, economic, and cultural center of Taiwan. Originally founded in the early 18th century, Taiwan quickly became an important center for overseas trade in the 19th century. Today this truly is one of Asia's most dynamic and fascinating cities. Taipei is the thriving heart of Taiwan and the bustling centre of commerce, government and culture. Our sightseeing will first take us to the world-famous National Palace Museum, the world's largest collection of Chinese artifacts. Here we will see porcelain, paintings, jade, bronze, tapestries and other art objects that once belonged to the emperors of China. This truly is a breathtaking selection of Chinese Imperial Art. In 1949, the collection was brought to Taiwan by Chiang Kai Shek's armies. Nearby is the wonderful Shung Ye Museum of Formosan Aborigines. This museum houses exhibits relating to the cultures and histories of the Taiwanese aborigines. These Austronesian peoples are related through blood or linguistic ties to people across precolonial Oceania, as far away as Madagascar. The tribes developed pottery, basketry, woodcarvings, musical instruments and colourful costumes. We will view some fine examples of Taiwanese aboriginal handicrafts and learn about the history of these people. After a break for lunch we will continue with our tour of the city. A must is a visit to the National Chiang Kai-shek Memorial Hall, located in the heart of the city. This Memorial Hall (C.K.S. Memorial Hall) was constructed in memory of the former president of R.O.C. During our touring of the city we will pass by the Presidential Buildings Presidential Square. Originally built by the Japanese, it originally served as the governor's mansion. A must during the tour will of course be a visit to Taipei 101, with its outstanding views over the city. Taipei 101 is a 101-floor landmark skyscraper that claimed the title of world's tallest building when it opened in 2004 (now the world's second tallest building, second to the Burj Kalifa in Dubai). This morning we will depart Taipei and travel to the famous Taroko Gorge. Our route will take us to the hilly suburbs of Taipei, and through the Hsuehshan Tunnel ("Snow Mountain" tunnel), the longest tunnel in Taiwan. From the coastal city of Yilan we will continue along the coast via the Suao Highway. The eastern coast of Taiwan is the least populated region and yet covers more than a fifth of the landscape. In every sense, nature is less tamed on this side of the island. Our drive will take us past the Qingshui Cliffs, located on a section of the highway that provides some of the most spectacular sights on Taiwan's Pacific coast. The cliffs here are more than 1,000 meters high and they drop almost vertically into the sea. The highway snakes along its curving face, with the sheer cliffs rising on one side and a sheer drop to the ocean on the other. The Taroko Gorge is the undisputed scenic highlight of Taiwan, the jewel of the beautiful national park of the same name. The gorge itself is a marble canyon featuring a rushing white water river, towering cliffs, hiking trails and even the odd hot spring. The most phenomenal aspect of the park is the amazing relief and change in terrain. In a single afternoon we will travel from the rugged coastal cliffs through a maze of subtropical forest. The road is carved into the sheer walls of rock, winding its way past forested peaks and cliffs towering thousands of feet above it, while hundreds of feet below a river roars past gigantic marble boulders. Many consider this area to be the most attractive region of Taiwan. This steep ravine, with its high marble cliffs, is permeated with a network of tunnels. Shrines, waterfalls and grottoes are found throughout the area. We will spend the afternoon touring the gorge, with plenty of scenic viewpoints and trails to explore. This morning we will drive out of the Taroko Gorge region and travel southwest to Sun Moon Lake, one of Taiwan's most famous and most beautiful vacation spots, situated in the foothills of the Central Mountain Range. Our route will take us from the canyons of gorge through a high elevation sub alpine coniferous forest. We travel via Puli, a town in the heart of Taiwan and surrounded by mountains. We will have a guided tour of the spectacular Chung Tai Chan Monastery located on the outskirts of Puli. This is massive temple is more than just another modern temple - it is an international centre of Buddhist academic research, culture and the arts. We continue to the Sun Moon Lake, and will tour the region upon our arrival. In this idyllic environment we will see the deep blue waters of the lake and the mountainous surroundings. We will visit some of the local temples in the surrounding area. This area of Taiwan has a pleasant climate year round, and the surrounding region is dotted with temples and pagodas, which afford plenty of exploration. This region has also been a center of aboriginal life for thousands of years, with aboriginal people involved in its tourist industry since the 1930s. Overnight at Sun Moon Lake. After breakfast we will enjoy a cruise across the lake before we set out for the city of Tainan on the west coast. Our journey today will take us south via the scenic central region of Taiwan. Tainan is the oldest city in Taiwan, and was its capital for over 200 years. This city has managed to maintain much of its historical character, and its many historical sites make for some great exploration. Most of the Han migrants who sailed for Taiwan in the 17th and early 18th centuries landed on the islands southwest coastline, an area of flat land suitable for rice cultivation. Often compared to Kyoto, Tainan is an essential destination for those interested in history, religion and traditional ways of life. Upon arrival in the city we may enjoy some sightseeing this afternoon. Today we will enjoy a full day of sightseeing in Tainan. This is an enticing city and a true highlight on the west coast of Taiwan. Tainan retains a stronghold of traditional Taiwanese culture, with frequent Buddhist parades and ceremonies. Our exploration will take us to several of Tainan’s historic sites and temples, as well as the Dutch fort of Anping on the coast. We will explore both the Chihkan Cultural Zone and the Confucius Temple Cultural Zone. The Chihkan Cultural Zone covers the northern part of the old city, and highlights here include several temples and the Chihkan Tower. This was the site of Fort Provintia, built by the Dutch in the 1650’s. Meaning ‘eternity’ in Dutch, the Chihkan Tower has been a significant administration centre of Tainan ever since the Dutch invaded the country. The tower has been through various periods of Chinese rule, such as the Ching and Ming Dynasties, as well as a period of Japanese Colonization. Many of its original architectural features can still be seen today. Anping is considered to be the cradle of Han Chinese civilization in Taiwan, and the first European base on the island. It took the Dutch nearly 10 years of hard work to construct the impressive Fort Zeelandia (Anping Old Fort) in the town of Anping. This noteworthy fortress is a clear reminder of colonial rule in the country. When constructing the fortress the Dutch selected a sandy peninsula in Tainan, and the strategic location was aimed at providing direct access for various supplies and support from Batavia (now known as Jakarta, Indonesia). Yanping Street is one of the oldest streets in Tainan. Also known as Anping Old Street or Taiwan’s 1st Street, it was the first established merchant street in the area. We will walk along the narrow and winding streets with their little shops and food stalls that cover a full range of souvenirs and handmade products. As well as these sites we will also explore the southern half of the old city of Tainan where we see the well-preserved Great South Gate and the Confucius Temple. Built in 1665, the Confucius Temple is believed to be the oldest Confucius temple in Taiwan. Today we will leave Tainan and travel back to Taipei by high-speed train. This high-speed line opened for service in 2007, using trains with a top speed of 300 km/h (186 mph). The journey time from Tainan to Taipei will take just over 90 minutes! This afternoon we will complete our sightseeing of Taipei. A visit to the Taoist Lungshan Temple provides some insight into the local culture. Dedicated to Kuanyin, the Goddess of Mercy, this is one of the city’s most popular and busiest temples. Like most temples in Taiwan, the Temple worships a mixture of Buddhist, Taoist, and folk deities such as Matsu. We will walk through the Dihua Street Area, where one can get a true feel for the city’s past. The old-town market has dozens of shops selling a variety of traditional goods such as Chinese medicines and herbs, temple icons and incense, spices and dried food, colourful bolts of cloth, and bamboo and wooden crafts. This is a fascinating patch of the past. Built on a green hillside in 1969, the impressive Taipei Martyrs Shrine was architecturally inspired by the Hall of Supreme Harmony in Beijing's Forbidden City. The shrine is dedicated to the 390,000 soldiers killed in the service of their country during the War of Resistance against Japan and the civil war between the Chinese Republican and communist forces. Today we say our goodbyes and depart from Taipei. 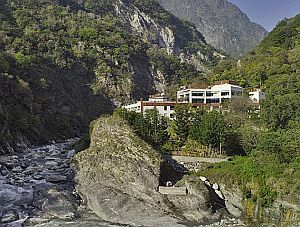 Offering uninterrupted views of the surrounding greenery, Silks Place Taroko Hotel is located within the Taroko National Park in Hualien ... It features an indoor pool and an outdoor pool. Guests can relax in the sauna, or enjoy scenic mountain views while exercising in the gym. 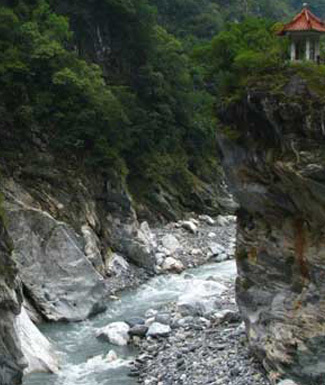 Rooms at Silks Place Taroko Hotel have private balconies with mountain or river views. Amenities include a flat-screen TV, a safety deposit box and tea/coffee making facilities. Tayih Landis Hotel boasts of 315 spacious and comfortable guest rooms that are equipped with modern amenities such as air ...	cable TV, hairdryer, ironing board, mini bar, telephone and a private bathroom. Breakfast and dinner (mostly at local restaurants) are included daily. All transport, accommodation, sightseeing and entrance fees for sites noted as 'visited' in the detailed itinerary. Gratuities for restaurant staff, porters, local guides. Airport transfers for land & air customers and for early arriving/late departing land & air customers who book their extra hotel nights through us. International airfare to/from the tour. Tour Leader gratuities, lunches, drinks, personal items (phone, laundry, etc), domestic and international (if applicable) air taxes, and any excursions referenced as 'optional'. Airport transfers for Land Only customers. Optional trip cancellation insurance. Our post-reservation trip notes offer further guidance on shopping and not included meals. Our autumn tour can expect moderate humidity and mild temperatures ranging from 12-25 C (53-78 F), depending on elevation (our time in the mountains can be chilly). Rain showers can occur at any time. Spring will experience slightly cooler temperatures and the same possibility of rainfall. Our spring date may feature annual cherry & plum blossoms at some locations. Our land transport will be via comfortable private air-conditioned/heated bus. We rate this tour difficulty 'Level 1', which relates mostly to relatively short drives, lack of heat and remote locations, comfortable accommodations, the lack of train travel, and the likelihood of baggage handling assistance at hotels. One can, however, expect plenty of walking on the tour. Our pace is leisurely, but we have some full days of activities and travel and numerous sites visited that require that you be prepared to be on your feet for several hours. We also have short walks to/from dinner at the end of our days. There is also a very strong culinary element to this trip. Breakfasts feature Asian as well as Western items, but our dinners out at local restaurants will feature a wide range of local specialties. Eating is very much a cultural experience in this part of the world, and this aspect of our program is an integral part of the overall experience. Though individual tastes and requirements will be taken into account by your leader who will be organizing our evening meals on-the-go, if you are strictly a meat-and-potatoes person, or a strict vegan/gluten-free etc, you may find your preferences significantly challenged on this tour. Hotels in Taiwan are international style, 3-star properties. Tour Leader throughout, local guides at various locations.